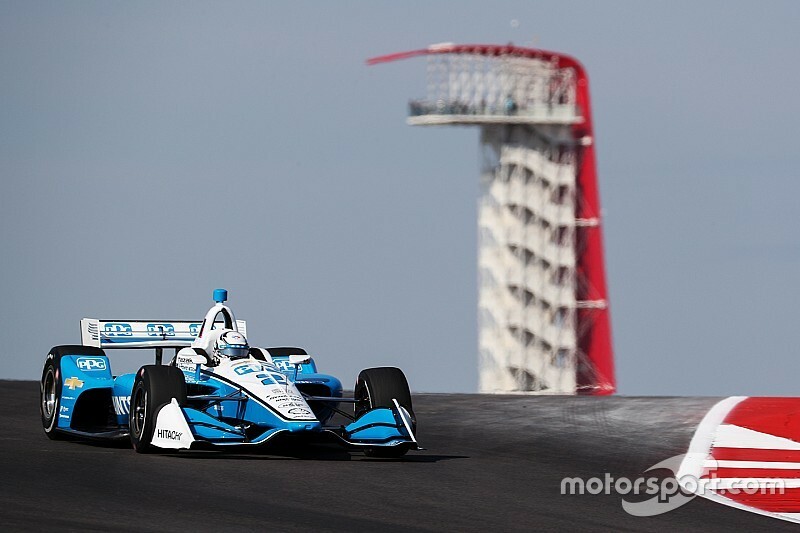 Team Penske-Chevrolet’s Josef Newgarden topped opening practice for the IndyCar Classic at Circuit of The Americas, but Colton Herta’s Harding Steinbrenner Racing blew a Honda engine that cost the field 15 minutes of track time. The drivers were granted one last flying lap once Herta’s car was retrieved but only five drivers managed to improve in the final scramble, leaving St. Petersburg winner Newgarden unopposed with a top lap of 1min48.657sec, 112.980mph. Herta, who topped three of the four sessions here in testing last month, was second fastest, just 0.1372sec behind Newgarden but only completed five laps. 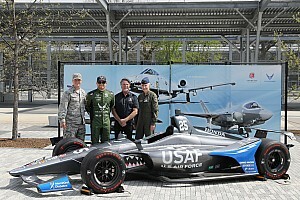 His semi-teammate Andretti Autosport’s Alexander Rossi was third fastest ahead of teammate Ryan Hunter-Reay, while Graham Rahal was fifth for Rahal Letterman Lanigan Racing-Honda. 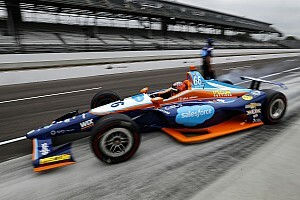 Rookie Felix Rosenqvist and five-time champion Scott Dixon were sixth and ninth for Chip Ganassi Racing-Honda, split by the other two Penskes of Simon Pagenaud and Will Power. 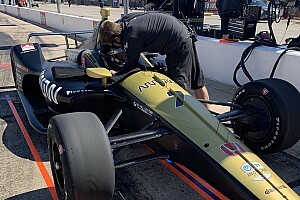 Arrow Schmidt Peterson Motorsports-Honda’s James Hinchcliffe was one of the five drivers to improve on their final flyer to end up a couple of tenths behind rookie teammate Marcus Ericsson. Making his first appearance at an IndyCar race this year, Indy Lights champion Pato O’Ward was another late improver, his renumbered #31 Carlin-Chevrolet finishing up around half a second slower than fulltime teammate Max Chilton. Second practice, when the teams will try the ‘red’ alternate soft-compound Firestones for the first time, begins at 2.05pm local (Central) time.